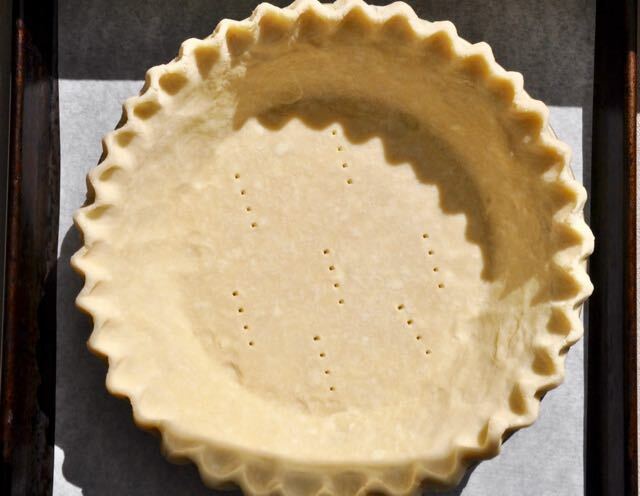 Blind baking – or baking your pie shell before the filling goes into the crust – is one of the most confusing and conflicting issues pie makers face. I know this because as Dean of The Pie Academy I get a ton of emails on the subject and they’re not, typically, about how well things are working out. Frustration reigns. Indeed, one Pie Academy member wrote just the other day to say that he’d consulted twenty different websites about how to blind bake his pie shell, only to come up with twenty different methods for accomplishing the same thing. I’m not surprised. The number might as well have been fifty, because – in fact – there’s more than one way to skin a cat, and more than one way to prebake a crust. But I’m not about to give you fifty or even twenty suggestions, though I think I’ve tried every trick in the book (and on the web.) I’m simply going to walk you through the method I use for blind baking. With only minor variations, it’s remained virtually unchanged through years of pie making and continues to serve me well today. A willingness to blind bake your crust, and the skill to do it well, are qualities that separate great pie makers from the merely good ones. It represents a dedication to craft that makes you and your pies the secret envy of the other cooks in your circle. It’s the reason your pumpkin pies, chess pies, and pecan pies always get eaten first. 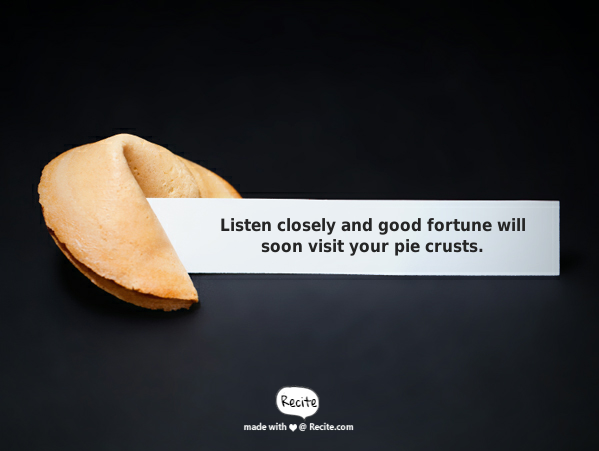 Your pie crusts are fabulous; theirs are flabby and forgettable. 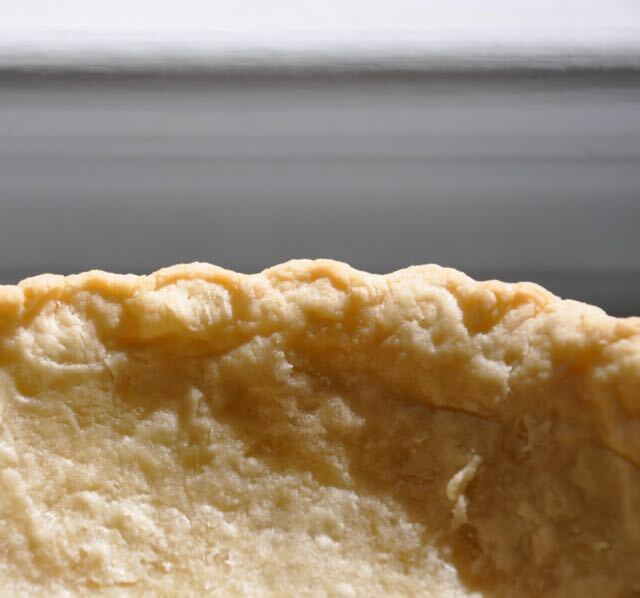 By definition, blind baking means prebaking your pie shell – either partially or fully – to “set” the crust and keep it, well, as crusty as possible. A prebaked pie shell yields noticeable definition between the crust and filling. Done properly, you get a full measure of crustiness along with the contrasting softness of the filling. People wonder what it is that makes your pies so darn good; this is one of your secrets. It’s tempting to skip this step because it takes about 30 to 45 minutes, primarily hands off, to prebake and cool the crust. And there’s all that fiddling with foil and beans many cooks would just as soon avoid. But it’s time well spent if you really care about the outcome. When Should You Blind Bake Your Pie Shell? First let’s talk about when you don’t need to blind bake your shell, and that’s pretty much whenever you’re making a traditional fruit pie, one with either a top crust or a crumb topping. You probably know this already: if you’re making a double crust fruit pie, there’s simply no way to attach a top pastry if the shell is already baked. The edge of the shell would be too dry and crusty to attach a lid. But what about a crumb topped fruit pie, when there is no top crust? Might there be some value in prebaking the crust before the fruit goes in, so it’s less likely to become saturated by the fruit juices? The answer is sorta, but mostly no. It’s true that partially prebaking the crust will make it more moisture proof. But it’s also true that the tradeoff will almost certainly be an overbaked crust. By the time you prebake the crust thirty minutes or so, then add the filling and bake your pie for perhaps another hour, long enough for the thickener to thicken, your pie crust will be unappetizingly overdone. 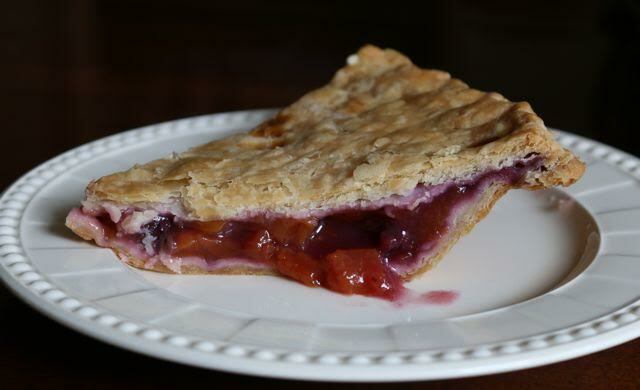 Other than fruit pies, there’s a host of pies that do benefit from partially prebaking the crust. This includes pumpkin and sweet potato pie, custard pie, chess pie, pecan pie, and buttermilk pie, to name just a few. Loose, liquid fillings, in other words, that can easily saturate a pie shell. 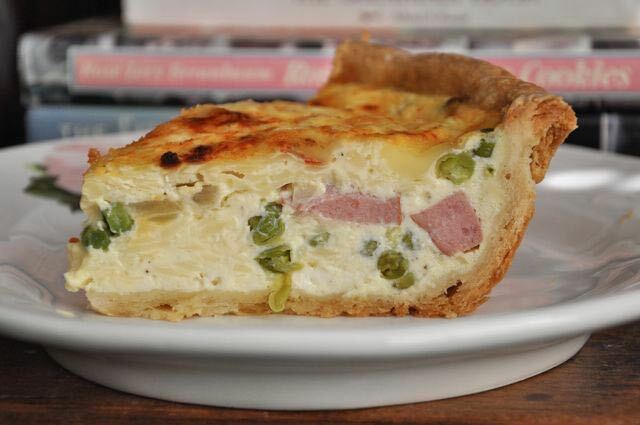 On the savory side, a quiche almost always calls for a partially prebaked shell. All of these are typically baked at a lower temperature than fruit pies and for less time, so the risk of overbaking the shell is minimal. Finally, certain pie shells are fully prebaked, or blind baked, when the pie recipe calls for no further baking. 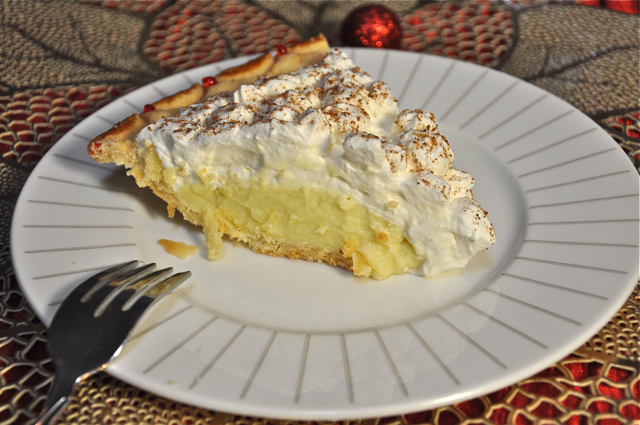 This category includes, primarily, cream pies – like our Eggnog Cream Pie, below – where the filling is cooked separately then added to the shell. Here’s what you’ll need to prebake your crust. First, a rimmed baking sheet. Your pie shell will, inevitably, leak a little melted butter as it bakes. Better to keep it off your oven floor unless scouring the oven is your idea of an enjoyable weekend. Even if you use a baking sheet, the butter may still smoke up your kitchen when it dribbles onto your sheet, which is why I like to first line the baking sheet with parchment. The parchment blots up the butter and greatly reduces the risk of smoking. Next you’ll need a sheet of aluminum foil about sixteen to eighteen inches long. Use regular weight foil, not heavy duty foil. Because it’s so thick, heavy weight foil doesn’t shape as easily to the sides of the shell. You want the foil to fit like a glove. The pan’s well defined crease and smooth sides should be visible. Finally, you’ll need dried beans, a couple of pounds worth of black beans, lima beans, or another large bean. Two pounds is more than enough to bank the beans all the way up the sides of the pan, which is ideal. Some swear by ceramic pie weights but I’ve always been a bean guy. Use your beans over and over again; I keep mine in a large Mason jar. Cool them thoroughly before storing. When you’re ready to begin baking, adjust one of your oven racks so it’s in the bottom position and the other so it’s in the middle of the oven. If you have only one rack, split the difference so it’s in the position between them. Preheat the oven to 375°. Many attempts to prebake a pie shell hit the skids before the thing even makes it to the oven. That’s because the dough itself isn’t firm enough to withstand the pushing and shaping that occurs when the foil is nudged against the sides of the shell. 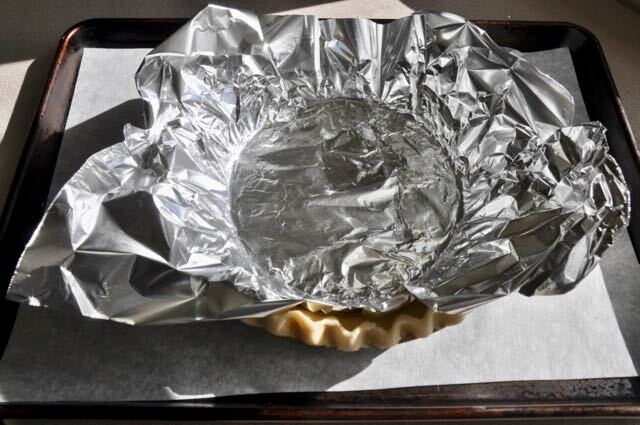 Simple solution: freeze your pie shell for at least 15 to 20 minutes before adding the foil, until it’s firm enough to withstand some jostling. Center the foil over the shell, then gradually begin nudging it evenly into the pan. Press it clear down to the crease, snugly against the sides, and make sure you can see the crease all around. The foil should fit like a second skin. You’ll be left with several inches of foil overhang on two opposite sides; don’t cut it off. Simply fold it down a bit so it’s more or less on a parallel plane with the baking sheet itself. Put the pan on the baking sheet. 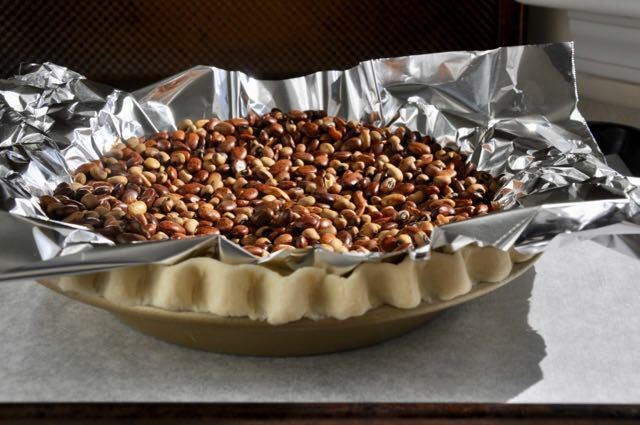 Add enough dried beans to come up almost level with the top of your pie pan, then bank them up the sides until they are level with the top edge of the pan. Put your baking sheet on the bottom rack and set the timer for 25 minutes. Don’t open the oven until the time is up. After 25 minutes (*see important footnote below) – slide out the rack and carefully – so you don’t accidentally touch the hot pan or baking sheet – grab the overhanging foil on opposite sides and lift out the beans. The foil shouldn’t be hot once you slide out the rack, but touch the foil gingerly, at first, just to be sure. And be aware that you may get steam rising up off the shell when you lift the foil. You can always use oven mitts if you feel more comfortable doing so. Lift the foil slowly, so it doesn’t grab the shell and pull it up. (Someone recently emailed to say this exact thing had happened to her; she nearly pulled the entire shell clear out of the pie pan.) Put the foil and beans aside. If your recipe did not say anything about poking holes in the bottom of your shell, do it now, 6 or 8 times. These holes help keep the bottom of the pastry from blowing up like a balloon once the beans are removed. Even if you made holes before you might want to re-poke them; they tend to plug up during the initial baking. Transfer the baking sheet to the middle shelf and set the timer for 10 minutes. Again, no peeking except through the oven window. After 10 minutes, open the door and check your shell. By now, the bottom of the shell should have a dry surface and the top edge of your shell should just be starting to turn golden. If not, slide it back in and bake for another 3 to 4 minutes. If you need a fully prebaked pie shell, bake an additional 15 to 18 minutes rather than ten, until golden brown and crusty all over. 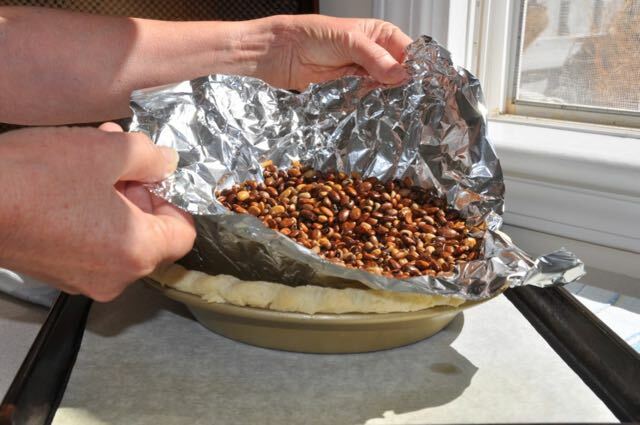 Either way, transfer your pie shell to a cooling rack and cool thoroughly before filling. I’m probably a little more careful about this than I need to be, but I always take a minute to plug the holes I made in the bottom crust. Even though the holes are small, I put a dab of cream cheese on my index finger and smear the tiniest amount over the holes to plug them. This insures that all the filling stays in the shell, where it should be, and doesn’t drip through the shell and stick to the pan. If you’re going to make a homemade pie, you want a crust that’s every bit as delicious as the filling. Taking a few extra minutes to prebake the shell, when required, is one of the best ways you can make this happen.